Meter Non Adhesive Book Covering Plastic is a range of high quality PVC Film that protects and enhances the appearance of Library Books and Hard Covers. This method of Book Covering is a quick and efficient way to increase the life of books and can easily be removed, unlike Adhesive Book Covering which is permanent. Flexible PVC is the most popular type of material used in this style of Book Covering as it is soft, folds easily and handles well. Widely used as School Book Covers by Teacher Librarians, Meter Non Adhesive Book Covering Plastic won’t stick together with other covered books when on a shelf, as it is anti static, and as the product is removable it can be recycled. 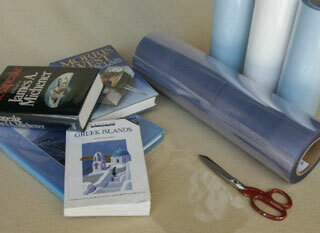 Non Adhesive Book Covering Plastic can be used on all types of Books. Whether you need to cover hard back books with or without dust jackets, or paperbacks, Meter Non Adhesive Book Covering Plastic is perfect for all Book Covering applications, especially in high volume areas like Bookshops and Libraries. Plastic Book Covers can be created in minutes and with little effort. The user simply cuts the roll based on the open width of the book to be covered, allowing for up to 5 cm on all edges, and then folds the Non adhesive Book Covering Plastic inwards and tapes to the inside cover of the book. 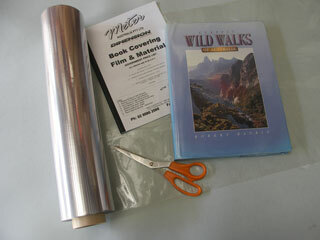 Available in Clear Rolls of 50 metre lengths, Meter Non adhesive Book Covering Plastic can be purchased in widths of 300mm, 350mm, 450mm and 900mm.The products is offered in two types-Library grade Non Adhesive Book Covering Plastic and Premium grade Non adhesive Book Covering. Both types provide excellent value for money with the Library Grade extremely popular with School Libraries. Please Click on the links below for more information on each type of Non Adhesive Book Covering Plastic.